this was posted elswehere...figured i'd add it to the thread! You really put the right words to the right picture. Both are just perfect!! 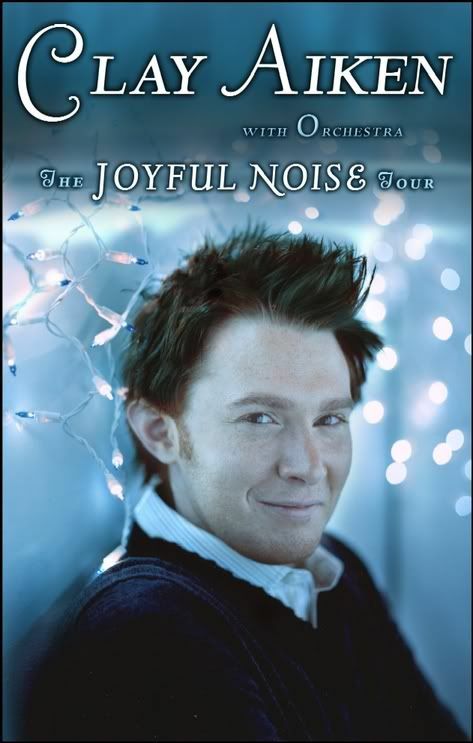 I am so happy Clay is coming to Detroit again!!!
" 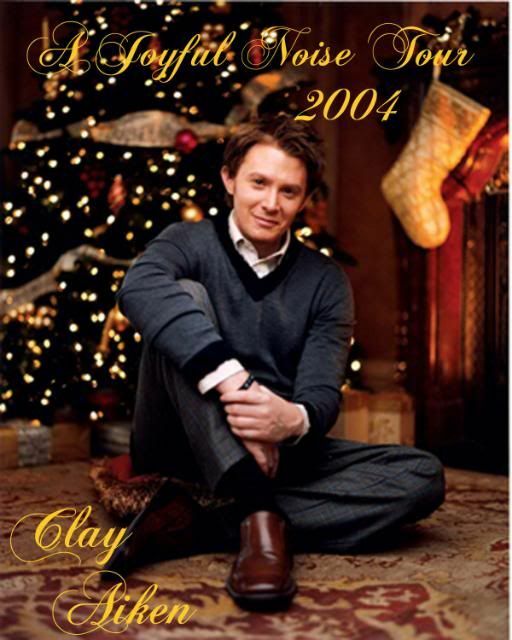 I'm dreaming tonite of a place I love even more than I usually do..." I am dreaming of a Clay Christmas!!!!! From the TV GUIDE cover last November! 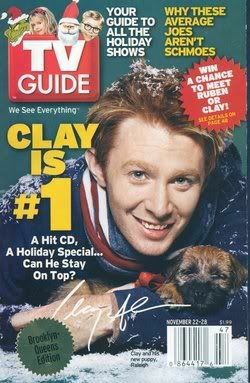 POSSIBLY MY FAVORITE CLAY PICTURE!! Coming from the original #1 Freckle Lover of OMC, thank you ever so much by saying it like it is!!!! I wish he would never, ever, ever wear that pancake stuff again....I think I actually wrote a poem to that effect in the "Express Yourself"
Again, thank you so much Amy...it was great meeting you in NC!!!! what an AWESOME pic of clay and the xmas tree!!! wherever did you find such a beautiful pic?? 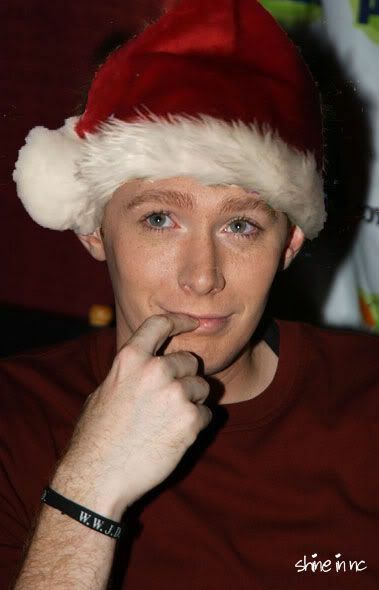 I'll take that under my Christmas Tree any day! What is he sitting on and why? A cushion because a hard floor isn't all that comfy on your backside. I certainly do want Clay's backside to be comfy! GAH! I love that last picture!!!! Was that one of the choices for the cd/tour?? Yes, it's photoshopped. But it's so cute.